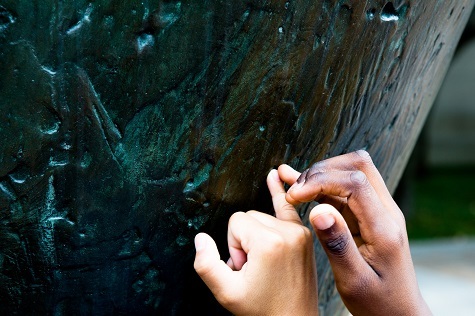 This evening, in advance of our special DMA Arts & Letters Live event with Rebecca Alexander, who will discuss her memoir about losing her vision and hearing due to a rare genetic disease, we will host our first Touch Tour for adults in the Museum’s Sculpture Garden. 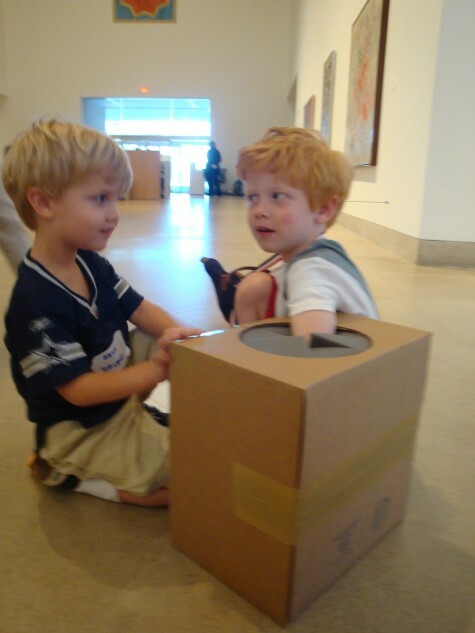 Last summer, the DMA hosted a similar tour for a group of children with visual impairment; you can explore photos from the event below and learn more about the history here. Tonight, artist John Bramblitt will lead participants to three works of art and then discuss his process as an artist who happens to be blind. The all-inclusive tour for those attending the Arts & Letters Live event (those with full vision will be given blindfolds for the tour) begins at 6:15 p.m. Visit DMA.org for additional information about tonight’s program and to purchase tickets. 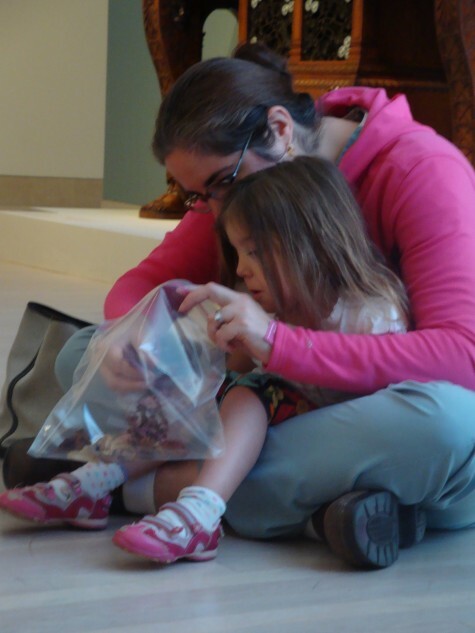 Amanda Blake is the Head of Family, Access, and School Experiences at the DMA. 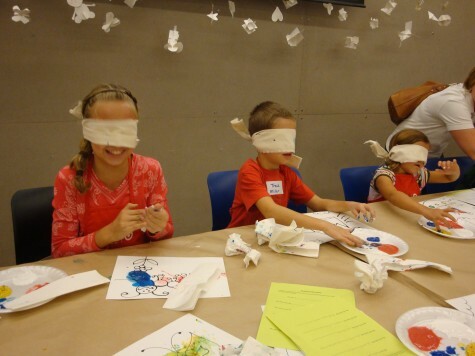 Have you ever made an artwork blind-folded? This past Saturday, visitors to the Museum did just that—painting purely through the sense of touch—under the skilled direction of blind painter, John Bramblitt. 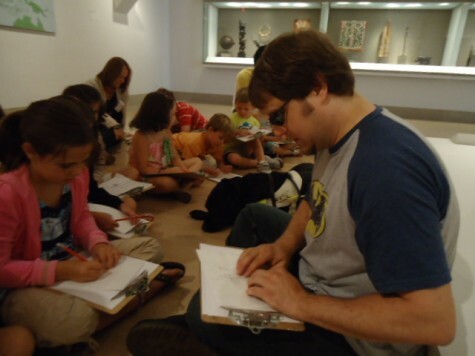 Bramblitt is a guest artist at the DMA in October, in conjunction with Art Beyond Sight Awareness month. Organized by Art Education for the Blind (AEB), Art Beyond Sight Awareness month raises awareness about integrating art into the lives of adults and children affected by sight loss. 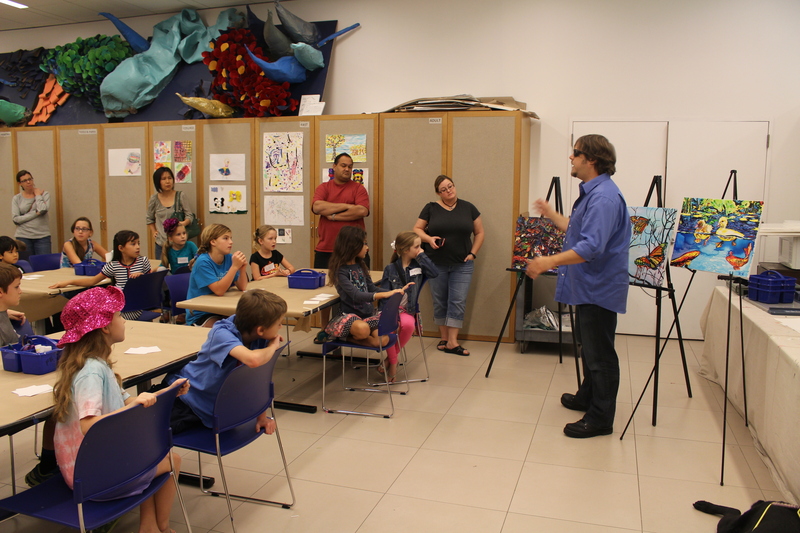 Bramblitt will demonstrate his process and hold another participatory workshop at the Museum on Thursday, October 29th from 6:30-8:30 in the Center for Creative Connections. We hope you’ll join us then!